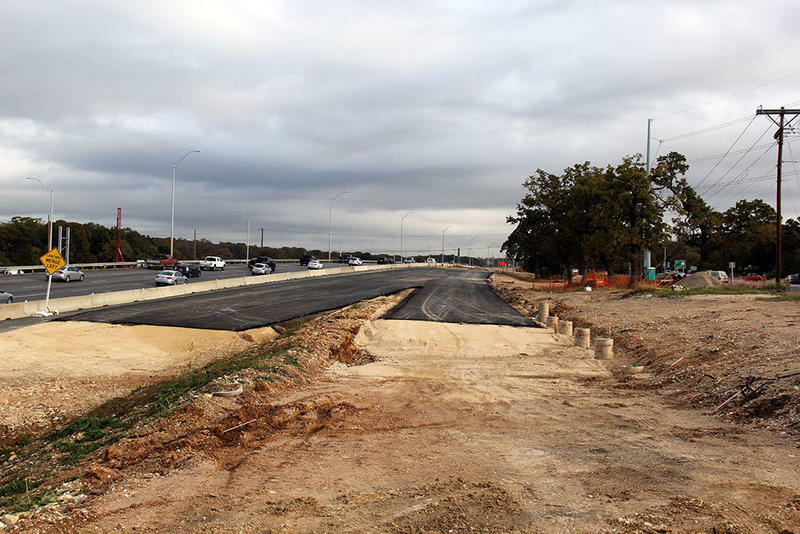 The Mopac Improvement Project originally budgeted about $20 million for bumps in the road during construction; it currently has about $6.5 million left. There is a chance the transportation authority will have to find additional funding for the road. 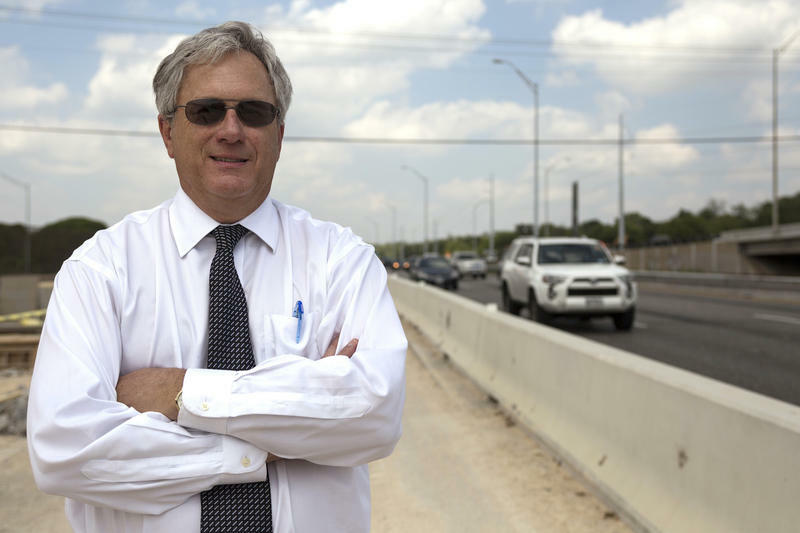 From our city reporting partner, the Austin Monitor: Mike Heiligenstein, the executive director for the Central Texas Regional Mobility Authority, told board members Wednesday that the MoPac Improvement Project is expected to be fully operational sometime in the second half of 2016, a far cry from its originally stated Sept. 17, 2015, completion date. Lead contractor CH2M Hill is responsible for the design and construction of CTRMA’s express lane project, which affects MoPac from Cesar Chavez Street to Parmer Lane. But the originally budgeted $200 million proposal has seen numerous delays because of labor shortages, drilling problems, weather issues, continual run-ins with unidentified utility infrastructure and debatably differing site conditions than those originally agreed upon, Heiligenstein said. CTRMA officials and the contractor are now entering into a dispute resolution process to hash out final project costs and responsibilities within the next 90 days. The process will be more of a mediation-like environment than a legal one. Dispute-resolution power lies with a three-member board that includes a CTRMA representative, a CH2M Hill representative and a mutually appointed third member. Its decision will not be legally binding. “It’s fairly normal. It’s not something you want to go through, but it just happens if you have a disagreement over some item in the contract,” Heiligenstein told the Austin Monitor, explaining it had occurred on the 183A Toll Road project, as well. According to the executive director, CTRMA disagreed with how CH2M Hill tried to excavate underpasses that will cross near the Caesar Chavez Street exit. The underpasses, which are not fully excavated, are critical to the project. They connect traffic from the road’s express lanes to nearby downtown exits. 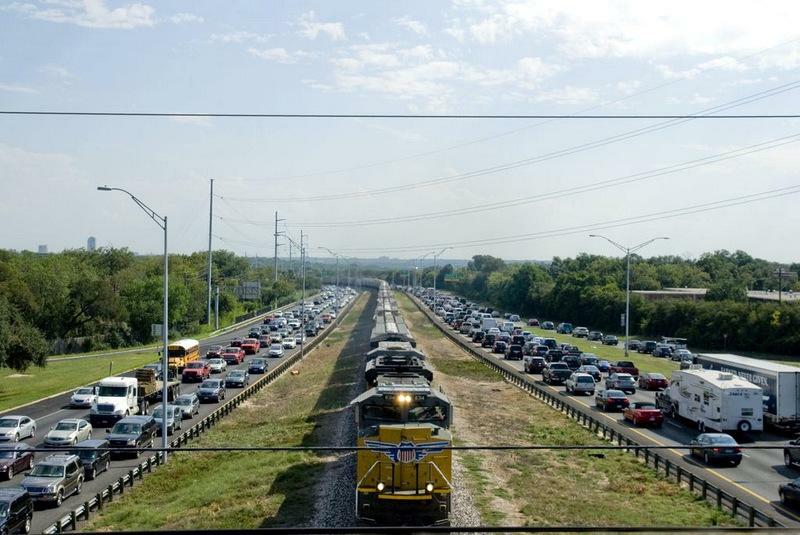 When workers hit hard rock early this year, CH2M Hill asked CTRMA to possibly reroute traffic to MoPac’s access lanes for a period of time to accommodate construction. CH2M Hill has now abandoned the approach because of the broad areas required for construction as well as the significant traffic disruptions. The final dispute resolution will address financial impacts instead of construction processes, Heiligenstein added. CTRMA also questions the amount of unidentified water piping, sewage piping and electrical cable CH2M Hill has claimed to have had difficulty with. It also is looking into the hardness of the rock around the Cesar Chavez exit to see if it contractually qualifies for a variance. 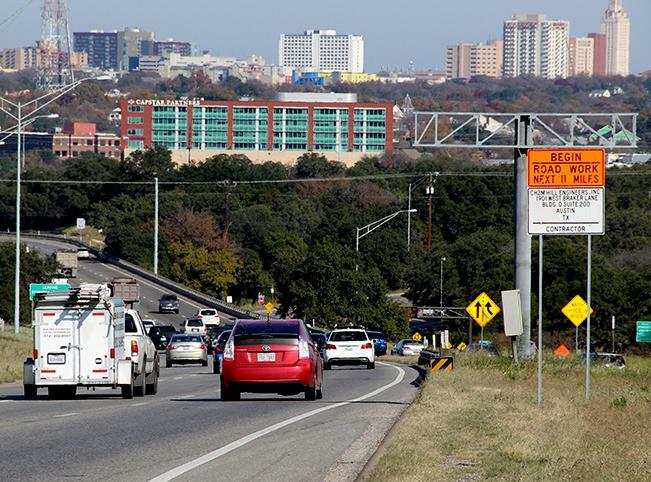 The Mopac Improvement Project originally budgeted about $20 million for bumps in the road during construction; it currently has about $6.5 million left. There is a chance the transportation authority will have to find additional funding for the road, Heiligenstein said. But optimistically, CTRMA believes it could open completed portions of the road in phases to better accommodate some commuters. “I think fairly early in 2016, we could see parts of this open, and you don’t have to be a rocket scientist … to see that everything north (of Enfield Road) is going pretty well,” Heiligenstein said. Construction crews will install temporary highway lighting along MoPac tonight, and will also remove existing light poles that in the way of the construction of the forthcoming MoPac express lanes. A full map of construction is available online. The project will add North and Southbound express lanes between Parmer Lane and Cesar Chavez. 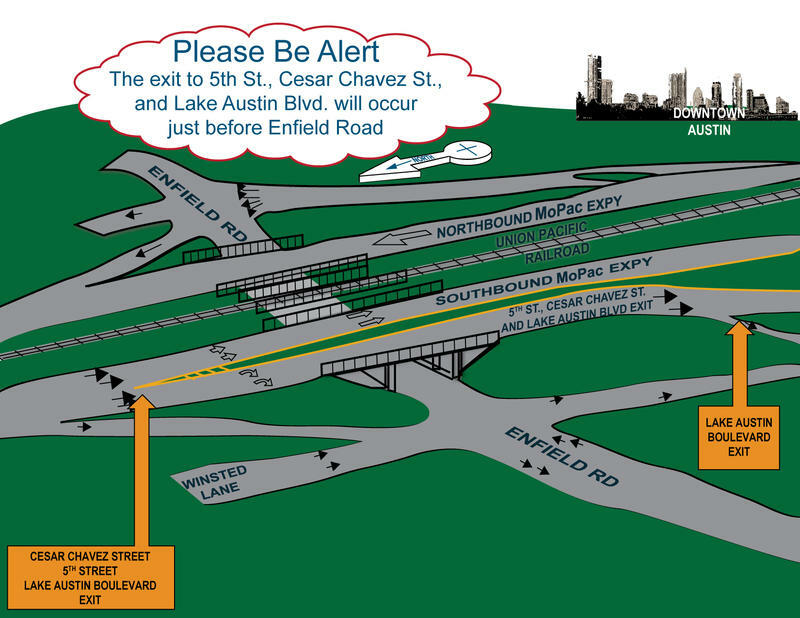 Big changes lie ahead for the MoPac Expressway as a toll lane is added in each direction. And those changes will affect drivers before the new lanes are ready. Here's what you'll need to know so you don’t miss your exit. The MoPac Improvement project has reached the point where workers need to start digging for an underpass entrance and exit to and from downtown. That means drivers heading southbound on the highway will need to be ready for some significant changes to exits that start Monday.